Property 9: 3 Luxury Apartments,102,103,107, Best Complex, Wi-Fi, Air-Conditioning,UK TV - Limnaria Gardens Apartment 102, Block B. Property 12: Detached Villa, Private Pool, WiFi Included, All Amenities close by. Property 14: NEW! Luxury 8 bed villa with magnificent roof terrace, 100m from the sea. 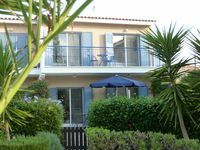 Property 28: Large Detached Villa With Communal Swimming Pool FREE WIFI / UKTV channels. Property 30: Ground Floor Apartment - Free Wifi/UK TV - Great Outside Private Space. Property 39: Royal Seacrest - Holidays Rental Apartment, WiFi , 5* Complex, Prime Location. Property 42: Perfect location, south facing private pool, air con, TV & WiFi.